Unless otherwise specified, packing, and unpacking will be preformed by your office personnel. It is important that only personnel involved directly with the move be present during the course of the move. All Packing should be completed prior to the start of the move. Desks: All desks should be completely empty. Labels will be provided and each piece of your workstation should have a label. Upright; These filing cabinets can generally be moved with contents intact. Lock the cabinet if possible, taping the key to the top of the cabinet. Lateral; These cabinets cannot be moved with the contents intact. Pack all contents, lock the cabinet if possible taping the key to the top. Bookcases: All contents should be packed, shelves taped together and shelf pins removed into an envelope then taped to the bookcase. Supply or Storage Cabinets: All contents should be packed, lock cabinet if possible, taping the key to the top. Smaller Office Machines/Computers: Be sure all components have been disconnected. Power cords/keyboards, mouse etc. should be either packed, or placed in bags. Pictures/Bulletin Boards: If possible remove from the wall, wrap and label. Large Photocopiers: If leased please check with your provider in regards to who is eligible to move the item as well as the servicing of it prior to the move. 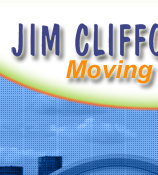 Living or Artificial Plants: Jim Clifford Moving Services Inc. can move these items but will not be responsible if the plant is damaged. Each and every item to be moved must be labeled. Keeping in mind that certain items contain detachable sections. Each of these sections must be labeled. Certain Furniture and equipment may need dismantling prior to moving (conference tables/workstations, computers etc). Be sure to tag each piece with the same information. On Plastic Bins or Cartons the labels should be placed on the side of the container. The labels should contain the following information, name, new room number and floor. Remember to label the following items, chairs, garbage cans, recycling bins, floor mats, lamps, office appliances, coffee machines, microwaves etc. Please arrange to supply a floor plan(s) for the new location including office set ups.